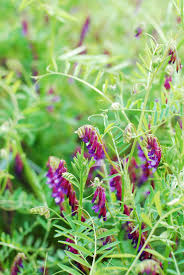 Lana Vetch - Project Apis m.
Note: Vetch seed is raw and not inoculated. 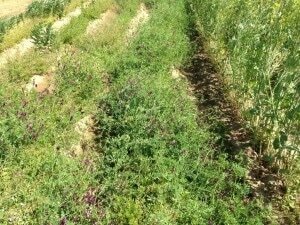 In general, vetch readily nodulates in CA soil from resident bacteria and separate inoculation is not required. Mid- to- late March and into May. It should be allowed to grow into May and June so that it both set seeds and provide the longest bloom possible. 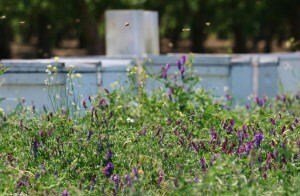 Thereafter, they can be mowed, disked and killed. To encourage reseeding, do not chip or disk but roll. Push seeds into ground.